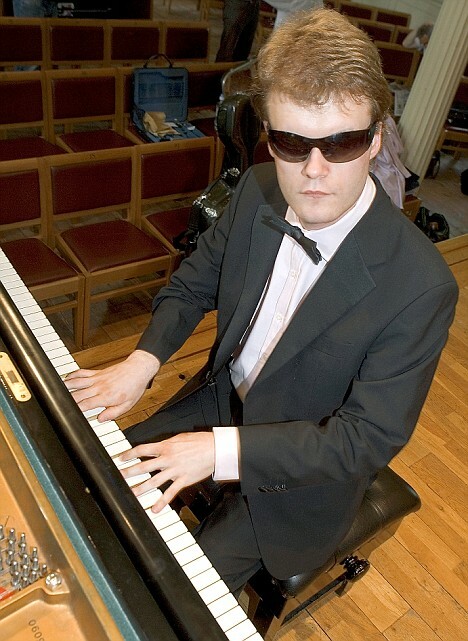 Carol Ng's Music: The human iPod: Derek Paravicini is blind and severely disabled yet can master any song after hearing it once... What is his secret? 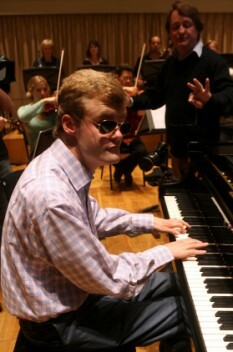 The human iPod: Derek Paravicini is blind and severely disabled yet can master any song after hearing it once... What is his secret? Thirty years ago, Derek Paravicini was within a heartbeat of death. No other baby born in the Royal Berkshire Hospital 14 weeks prematurely had ever survived. His twin sister was dead at birth. When Derek came along a few minutes later, the doctor presumed that he, too, could not possibly live. And yet, and yet... just when his mother Mary Ann had given up hope, she heard the faintest of whimpers, the tiniest of muffled squeaks. He had made it. Three decades on, Derek no longer makes muffled squeaks. Instead, he brings a rapt audience in St George’s concert theatre, Bristol, to their feet again and again, with a dazzling range of music — an Oscar Peterson arrangement of Greensleeves, his own version of Bach’s Air in the key of G, a jaunty ragtime taste of Debussy. You’ll have heard of perfect pitch. Well, Derek has absolute pitch — a rare gift, meaning that, when he hears a chord with ten notes in it, he can identify every one. Most professional musicians can get about five. He can master any melody on earth, has a databank of thousands of songs in his head and can play any one of them at will, improvising as he goes. One member of the audience asks him to play Ain’t No Sunshine. Another suggests that he play it in B major. And another, that it’s done in ragtime. No problem — without a pause, his fingers flutter across the keyboard in a hummingbird blur of staggering virtuosity. ‘Goodnight Sweetheart,’ shouts out someone from the back row. In C sharp, in the style of theatre composer Jerome Kern. And so it goes on, for two hours of riotous shared joy, the latest chapter in an uplifting tale of rare talent locked in a damaged brain. Because he was born so early, Derek is blind. The oxygen used to revive him at birth caused certain vessels in his eyes to grow abnormally, damaging his retinas, in a condition called retinopathy of prematurity. As he is blind, he cannot read music — he can’t even read Braille. The whole of tonight’s performance — his and the orchestra’s — is encapsulated entirely within his head. Despite his music gift, Derek’s verbal skills are limited. His English is well-spoken, clear and loud, but his capacity for thought does not stretch far. He is an echolaliac, meaning that he echoes what you say to him, turning your question into a statement. ‘Do you know Smoke Gets in Your Eyes, Derek?’ I ask. There are flashes of humour. At a recent recital in 11 Downing Street, hosted by Alistair Darling, Derek launched, unbidden, into a version of Big Spender. At an earlier concert at No10, he coaxed Cherie Blair into singing along to The Beatles’ When I’m 64. For someone so handicapped, it is a godsend that his hidden talent was unleashed at all. Much of the credit goes to his nanny, Winifred Daly, who died 12 years ago. She had looked after several generations of Derek’s mother’s side of the family — the Parker Bowleses, as in Camilla. Derek’s mother, born Mary Ann Parker Bowles, is sister to Andrew Parker Bowles, the Duchess of Cornwall’s ex-husband. It was Winifred Daly who first spotted something unusual in Derek. Looking for a diversion to occupy the blind 20-month-old, she dragged down a small electric organ from the attic of the Paravicini home in Berkshire; the organ had belonged to Derek’s grandfather, Derek Parker Bowles, after whom he was named. If it was Winifred Daly whose love — and repeated singing and talking in the nursery — sparked off Derek’s talents, it was Professor Ockelford who harnessed them and moulded them into concert-worthy form. They first met at Linden Lodge — the school for the blind attended by the celebrated jazz pianist George Shearing in the 1920s. Professor Ockelford taught Derek conventional musical techniques and untaught his unconventional ones — in particular his desire to play music as loudly as possible. Still today, in Bristol, the professor is at Derek’s side, gently cueing his intros and tapping him on the back, encouraging him to take a bow when the audience erupts once more. In time, news of Derek’s exceptional talent spread. 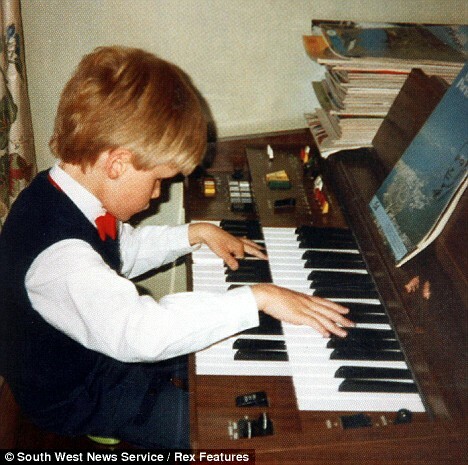 At seven, he gave his first concert in Tooting Leisure Centre in South London. At nine, he was on the Wogan show. At ten, he was presented with a Barnardo’s Children’s Champion Award by Diana, Princess of Wales. She was unruffled by the fact that he was Camilla Parker Bowles’s nephew, even though her marriage was on the rocks at the time. When Derek suggested playing Let’s Call The Whole Thing Off, she laughed uproariously. In recent years, he has played at Ronnie Scott’s Jazz Club, Las Vegas and has accompanied Jools Holland. He has appeared in two documentaries about genius savants, and the show I attended was being filmed by the popular American show 60 Minutes, on CBS. Now he is embarking on his first tour with a 20-piece orchestra. His playing, though, has grown more emotional. Professor Ockelford has determined that Derek is not just a human iPod who can replay exactly what he has heard after listening to it once. Instead, he initially recreates pieces by recalling crucial fragments and reassembling them as he plays. If a piece is too long or complicated for him to absorb at one sitting, he is inventive when he plays it back, reordering the snatches that he can remember, borrowing snippets from pieces with a similar stylistic pedigree or making up new material. Whatever magic is going on in his head, certainly it is when he is at the piano that he is most at ease. As he comes on stage, led by Professor Ockelford, his steps are hesitant. His hands clutch at his trousers, fingers twisting the cloth. And then, as he sits down, his hands reach out for the keys. As soon as his fingers hit the ivories, the hands relax. His head sometimes sways with the music, much like those other blind pianists Stevie Wonder and Ray Charles. At other times, his head is still, his sightless gaze fixed in the direction of the hammers of the Steinway, furiously striking away to Leonard Bernstein’s West Side Story. He is doing what he was born to do.